Spring water, organic peppermint, organic spearmint, organic lemon eucalyptus, organic tea tree, organic rosemary. With its naturally medicinal properties, Organic Peppermint provides a cooling relief from pain, improves blood circulation and nourishes the skin. Peppermint has also been used to get rid of lice. A natural antiseptic and insecticide, Organic Spearmint provides a relaxing and cooling effect on the nerves. Its antibacterial, antifungal and antiviral properties make it an effective remedy for both internal and external infections. Like peppermint, spearmint improves blood circulation. A strong antiseptic and antifungal agent, Organic Lemon Eucalyptus is effective in warding off insects. Organic Tea Tree is a natural wonder-drug replete with antibacterial, antimicrobial, antiseptic, antiviral, stimulating, anti-inflammatory, healing, pain-relieving and disinfecting properties. It is also used worldwide as an overall immunity booster. Organic Rosemary is a natural disinfectant that soothes and reduces inflammation in the ear, and treats bacterial, fungal and mite infections. An effective healer and pain reducer, it tones and nourishes the skin, and replaces bad odors with a clean, refreshing scent. For dogs over 8 weeks of age. 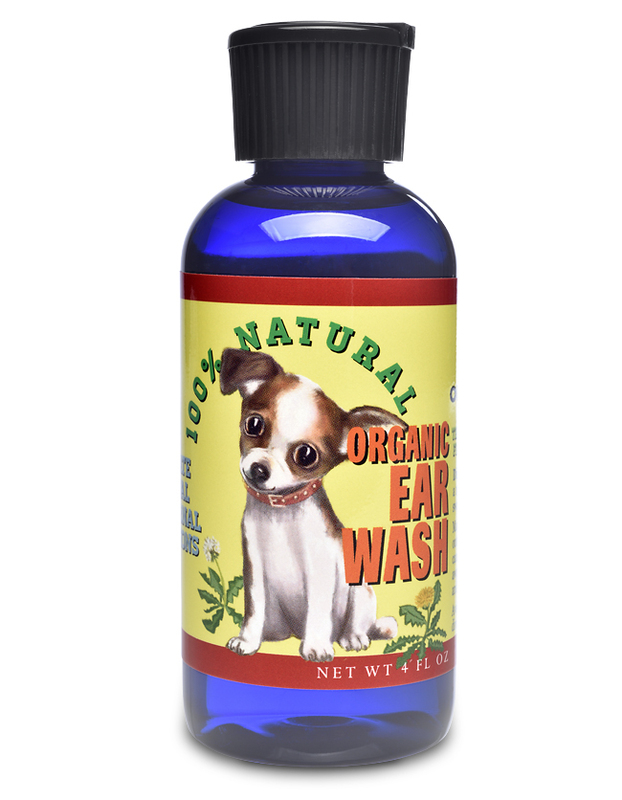 Moisten a 100% cotton ball or swab with ear wash. Massage your dog's outer ear and outer ear canal, gently wiping away dirt, debris, wax and bacteria. Do not dispense directly into the ear canal.